Is it time? Already? Seriously, this month flew by and I didn't accomplish nearly as much as I had hoped (which is always the case.) That said, I worked my way 'further up and further in' than I had previously and so, ultimately, I am satisfied. Book review of Domesticated Jesus, by Harry L. Kraus Jr.
And now I'm curious to find out what all of you read and wrote about. Because I am desperately afraid of losing links with a Mr. Linky, I refuse to use him for conclusions of challenges. (I frequently go back and read your old links and I've lost some thanks to Linky let-downs so no more!) Just leave your links in the comment section. Again, in order to win, simply leave a comment below. (I'll open this contest up to anyone.) But! If you participated in the challenge, each post you wrote up earns you an extra entry. So don't forget to leave a separate comment for each post. This contest will be open through Friday, August 6th so please leave your links in the comment section sooner rather than later! Thanks for hosting this challenge. I have greatly enjoyed reading through the Narnia books. I'm trying to make it through all seven books for this challenge...and I still need to finish The Last Battle. My first post was earlier this month. So now I make 3 extra comments, right? One thing I didn't get done was reading 'Inside Narnia.' Just wasn't the time for it, I guess. I did read the Edith Nesbit story some folks think was an unconscious inspiration to Lewis because it concerns a magic wardrobe. And I have 'The Narnian' (Alan Jacobs) on my tbr list for... soon. Thanks Carrie for hosting this challenge. It is one of the most satisfying challenges that I participate in. I read/used the Companion to Narnia last year, and really love that book. I checked it out from the library, and was unable to use it this year. I think it will be great for whoever wins it because it really is packed with a whole lot of information. Not certain if this post will count towards the Narnia Challenge because I did not specifically mention the challenge, but nevertheless...it is Narnia related and thought I would share it here. My daughter and I read The Voyage of the Dawn Treader. It was great fun reading this book with her. We plan on watching The Lion, The Witch, and The Wardrobe this evening. Carrie, Thanks again for hosting this challenge. 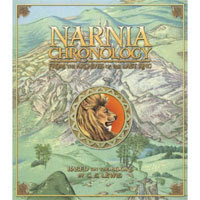 I wrote a total of five posts on The Chronicles of Narnia (although a couple did double duty with my "regular" book notes). Part 1: The Cross Satisfied the Devil's Demands? Part 2: The Cross Satisfied the Law? I so intended to participate! Truly I did. The kids and I listened to half of one of the Focus on the Family books on cd. I love their version! Unfortunately we haven't been still enough or taken a long enough van ride to finish the story. One day we will! me and my girls had so much fun with this challenge! 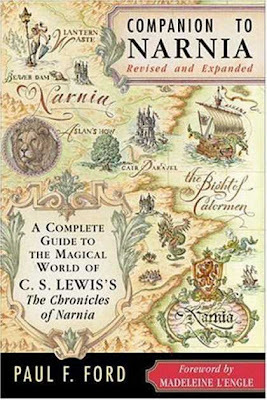 We love all things Narnia, and would love to add these to our library. They look like so much fun to read. Here is a second post for this challenge. Would like a chance to win. I will take any excuse to escape to Narnia! Our reading/listening summary is here.